The Bayero University, BUK Dangote Business School [DBS] Postgraduate Admission Form, Available Programmes, Admission Requirements, Application Guidelines for 2018/2019 Academic Session. Applications are hereby invited from candidates for admission into the various Postgraduate Programmes of the Bayero Business School, Bayero University, Kano, for the 2018/2019 Academic Session. A Degree or HND with a minimum of Lower Credit plus University Postgraduate Diploma with a minimum of Merit in the relevant areas from any recognized University. 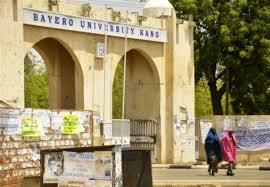 Candidates for admission into MBA (Special) should have a minimum of a Good Second Class Degree in any discipline from Bayero University, Kano or any other recognized University. A Degree or HND with a minimum of Lower Credit plus a Postgraduate Diploma in Entrepreneurship (PGD-Ent) with a minimum of Merit from any recognized university. Candidates for admission into M.Ent (Special) should have a minimum of a good Second Class degree in any discipline from any recognized university. Have accredited professional qualifications, such as ICAN, ANAN, etc from a recognized institution and must have possessed five relevant credits at Ordinary Level. The candidate is also required to have at least one year post graduation experience. HND with a minimum classification of Lower Credit obtained from recognized institutions. The candidate is also required to have at least one years of post graduation experience. Application form into the BUK Dangote Business School cost Ten Thousand Naira (N10,000.00) only, plus administrative charges of Five Hundred Naira (N500.00) only. Candidates are to follow the outlined procedures for a successful application. Please take note of your login credentials (username and password), as you need them for subsequent steps of the application process. Use Login on the left navigation panel to login to your account (using your login credentials) to start/continue your application process. Review all your forms to ensure accuracy of all information before submission. You can save your information at any time and continue with the application process at a later time. Generate your BUK Personalised Payment Form (BUKPPF). The BUKPPF includes information need to make payment through the Remita e-Payments platform. After successfully generated BUKPPF and using the Remita e-Payments platform a Remita Retrieval Reference (RRR) number is generated for you. The RRR uniquely ties your payment to your application account, after obtaining your RRR, login to your application account and submit the RRR used for payment. Note that submitting the RRR in the application portal is not tied to your actual payment.